Escape to your Lake front home away from home. Now Available! Book now for 2016 at 2015 Rates! A newly remodeled and expanded 7,000 square foot villa featuring 8-bedrooms and 8-bathrooms with a Gym, Home Theatre Room, Video Game Room Plus a Games Room. Large heated Pool and Spa with a swim up pool bar, large sun shelf and multiple lighted LED bubblers all surrounded by a large Travertine pool deck. 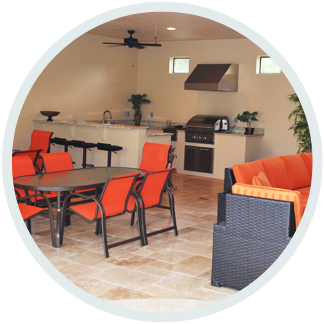 Over 1,250 square foot covered outdoor summer kitchen / lanai with 2 large 60” TV’s, 2 BBQ grills with side burners, 2 fridges, 2 sinks, ice maker and a dishwasher. Set amongst 18 Palm Trees, Bamboo and Birds of Paradise, you will find it hard to leave the tranquility. A newly upgraded 3,800 square foot villa featuring 7-bedrooms and 6-bathrooms, with a Large Games Room. Heated Pool, Spa and Mickey Mouse kiddie pool with newly upgraded Travertine pool deck. 1000 square foot enclosed outdoor summer kitchen, equipped with a large 60” TV, a BBQ, sink, fridge and enough seating for 16. Two executive style properties located in the highly sought-after Formosa Gardens Estates, located within 3 miles of the main gates of Disney World in Orlando, Florida. 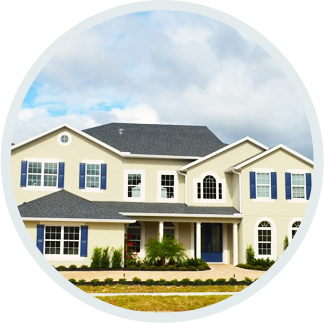 Each of our properties are fully equipped with all the amenities to ensure your home away from home will be a relaxing, enjoyable and a memorable experience. Copyright © 2019 The Sea Pearl Estates.